Ride in Style in our Ford Lincoln Tiffany Presidential or Ford F350 LongTruck limousines. There is no better symbol for luxury, sophistication, wealth, fun, and parties than the limousine. Just seeing one driving down the street, you know that whoever is inside must be having the night of their lives! There is a mystique to the limo that makes it something truly special when you get to rent one for your own special night. And now you can experience that thrill for yourself no matter where you are in Alaska with Airlink Alaska’s limo service! When you’re looking for a way to ride in the highest style, you don’t need to look any further than Airlink Alaska’s classy limousine services. Bus shuttle tours aren’t the only thing that Airlink Alaska does really well! We also have luxury limo rides that let you make a statement while experiencing the high life. And when you choose us for your extravagant method of transportation, you’ll be guaranteed only the best and highest quality limousine ride. Whatever the occasion is – whether it’s a VIP visit, some incredible concert or show, a wedding, your prom night, or simply a chance to go sightseeing in Alaska in style – we want to help you to have the best experience you can imagine. Our goal is to make your night a perfect one, and we believe that it all starts with an unforgettable ride. We keep our fleet in impeccably clean condition for you and your guests. That’s why we make sure that each limo is spotlessly clean and perfectly comfortable. You get to ride like the king or queen you are on our shiny leather seats, while holding a decadent glass of specially chosen wine in your hand. There are plenty of cup holders though, so you won’t need to worry about holding onto your glass the entire time. You’ll be able to have your hands free for dancing while you enjoy the high quality sound system. You can turn up your favorite music and jam out as much as you like. And every limo comes with big windows that will provide you with excellent Alaskan views too. You can easily see all the wonderful scenery, like the gorgeous rugged mountains, the sparkling streams and rivers, the wild surf, and maybe even a whale or two. All these things will surround you during your limousine trip. Whether you are out to enjoy the views or party in style, you will get to enjoy all of it without having to worry about a single thing. Our drivers are all very highly qualified and completely trustworthy, so you can party all night and enjoy your evening without any stresses at all. You can expect nothing but the highest professionalism from our friendly drivers, and they will make sure to not only keep you safe but also provide a smooth ride for you to enjoy. Airlink Alaska’s limousines are housed in Fairbanks, but if your destination is somewhere else, that’s not a problem for us at all. Our drivers will work with you to give you whatever you need and they’ll take you wherever you want to go. We know that the options for getting a limousine in Alaska are limited and hard to come by – especially ones this nice! – which is why we are proud to provide limousine services all across the entire state of Alaska. No group is too small or large for our limos. 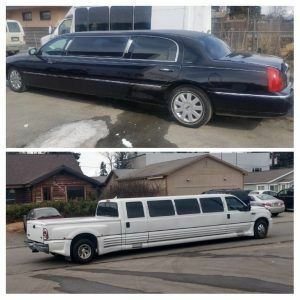 When you pick Airlink Alaska for your limousine services, you will have the option to choose between a long stretch limo or a smaller town car limo. 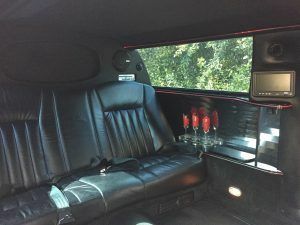 If you’re looking for a vehicle that will comfortably hold a larger group of people so that it feels more like a mobile party, then you will probably want to get a long limo. These are a great choice if you really want to show off when you arrive at your destination, or if you simply want to bring a lot of people along with you for the ride. Either way, nothing makes a statement like showing up in a stretch limo with all your friends! Town car limos are going to be a bit smaller, but are just as luxurious as the long limos. These are perfect for smaller groups and individuals who simply want to sit back and enjoy the ride. The Lincoln holds six passengers plus a shotgun rider while the LongTruck holds 12 passengers plus one. They are a perfect way to travel in complete comfort and style. Whatever kind of limousine vehicle you decide to go with, you can rest easy knowing that they are priced reasonably and are the most affordable. To get a long stretch limo, the price is just $175 per hour. And if you want to do a town car limo, then the price is only $100 an hour. You’re not going to beat those prices! A 2 hour minimum is required to get Airlink Alaska’s limousine services, but as luxurious and fancy as these services are, you won’t want any less than 2 hours! This minimum requirement will make sure that you really get the full experience of the limousine ride. 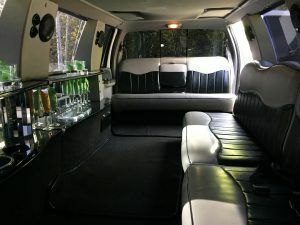 Relax in the comfortable seats, finish your drink, party with your friends, enjoy the great quality music and sound system, and appreciate all the magnificent sights that Alaska has to offer, all from the style of limousine when you choose an Airlink Alaska limo. Our long limo (Ford E350) costs $175 per hour and our town car limo costs $100 per hour (two hour minimum). With affordable rates and state wide service, Airlink Alaska is committed to making the high life available to everyone. When you choose to rent your limo for us, you can really experience what it’s like to be a movie star in Hollywood or powerful business person in New York. You can party like famous pop star with your friends in a long stretch limo or you can show your sophistication riding in a sleek town car. Renting a limo isn’t just about transportation, it’s about living a lifestyle, even if it’s just for one night. Airlink Alaska is here to make sure you truly get to experience that lifestyle to the fullest. When you choose us, you get the works – music, views, wine, professionalism, and a ticket to ride anywhere you want and experience a night that you’ll never forget!